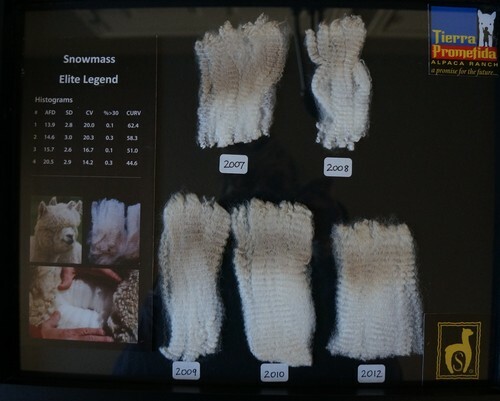 Snowmass Elite Legend possesses these qualities and continues to produce them year after year in his offspring. The other element that distinguishes a stud above others is perfect conformation--including the ideal head. Snowmass Elite Legend possesses every element we desire. 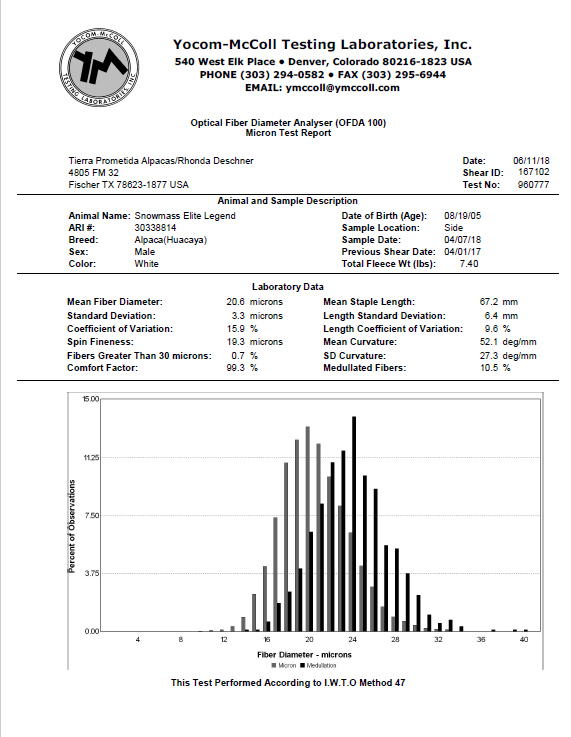 He was used almost exclusively over Snowmass’ white females because of his excellence and purity in clear bright white genetics. They rarely used him over colors as they have been trying to selectively breed for prediction of solid color. As time went on, they decided to breed Elite Legend to a few of their strong colored females. The outcome was so remarkable that they realized the importance of bringing him into their color breeding program on a strategic level. 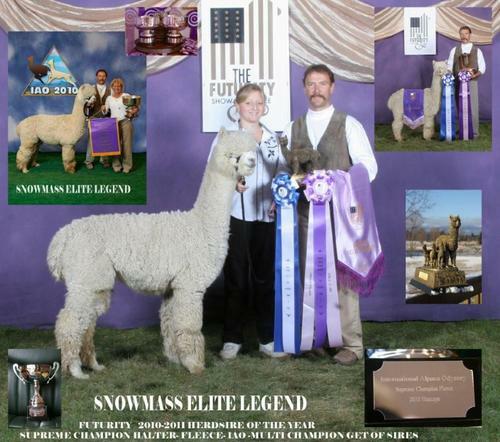 Snowmass Elite Legend has graced many of the North American Alpaca breeding programs with his progeny. 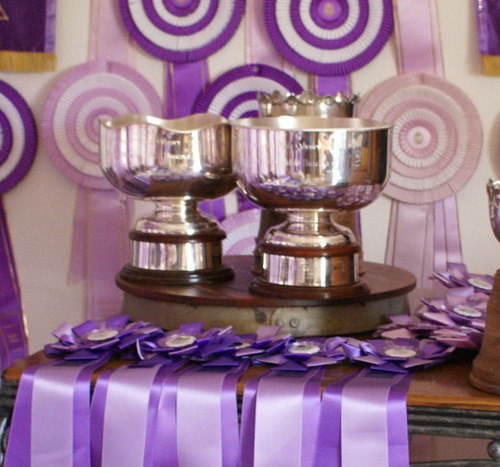 One after another carries on his vital excellence passing on the fleece characteristics we need to bring the North American Alpaca Industry to the heights of the finest alpaca fiber producers. Aside from his accolades in shows, Elite Legend's fiber production across his progeny is the most valued element of his success. 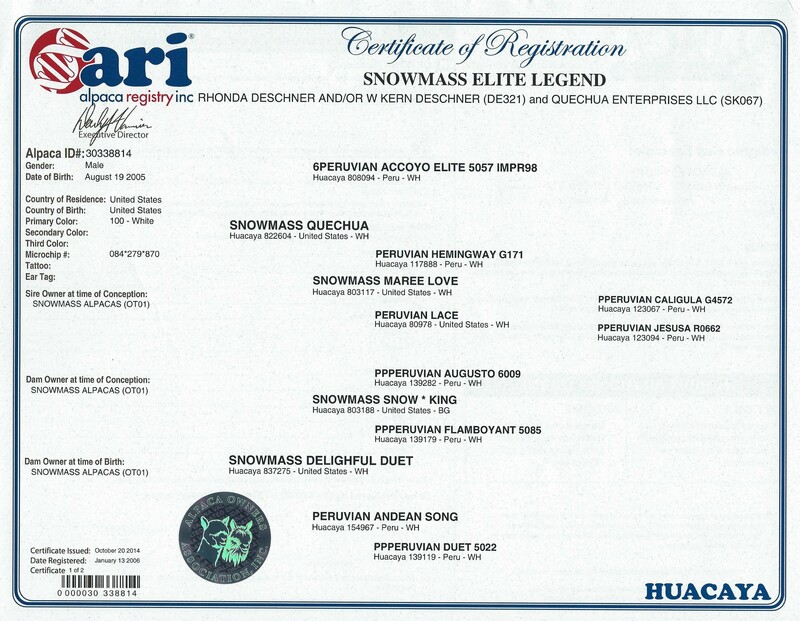 Snowmass Alpacas has proudly said that Snowmass Elite Legend is the most distinguished White Huacaya Stud standing in the WORLD. 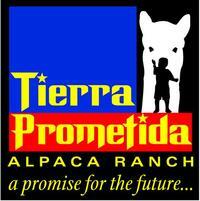 Tierra Prometida Alpacas is proud to announce that we now Co- own Snowmass Elite Legend with Cas Cad Nac Farm. 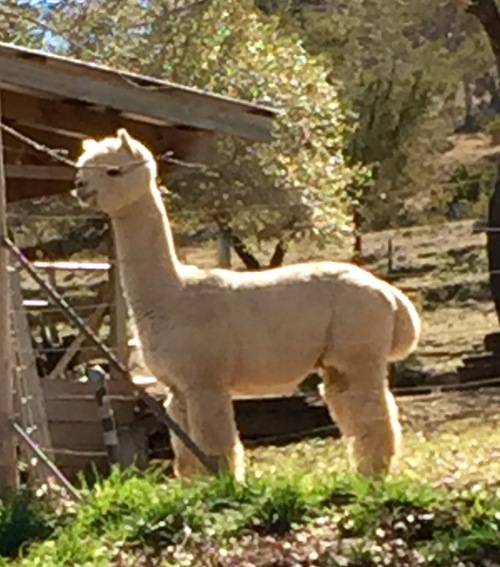 Though he is not being offered for outside stud service, Elite Legend will be in Texas at Tierra Prometida Alpacas and his genetics are available through the purchase of females bred to him and through the purchase of his offspring. 2015 Light Herdsire of the Year. 2013 Futurity Light Herdsire of the Year - Reserve. To be in the Futurity Auction.